This article was published on 4 December 2018. It was my first for this particular website. 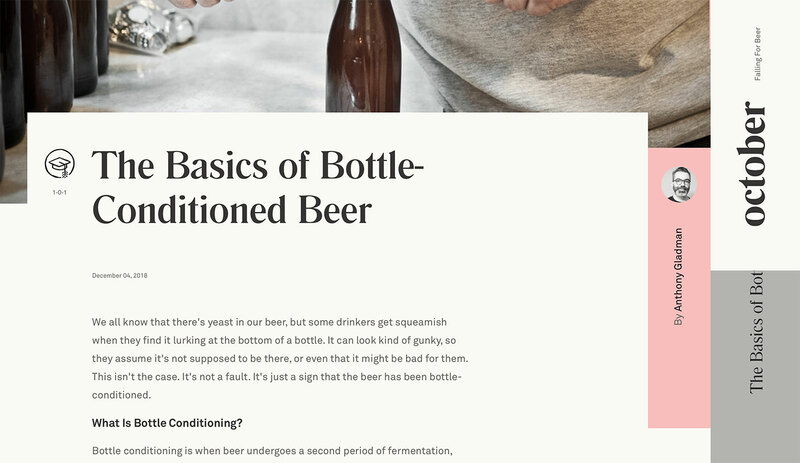 I was commissioned to write a piece covering the basics of bottle-conditioned beers: what does that mean, why is there crud in my glass, etc. We all know that there’s yeast in our beer, but some drinkers get squeamish when they find it lurking at the bottom of a bottle. It can look kind of gunky, so they assume it’s not supposed to be there, or even that it might be bad for them. This isn’t the case. It’s not a fault. It’s just a sign that the beer has been bottle-conditioned. I got my fellow beer sommelier Natalya Watson in on the act to explain why Duvel Moortgat uses the technique.